This scene shows a pen full of ostriches. 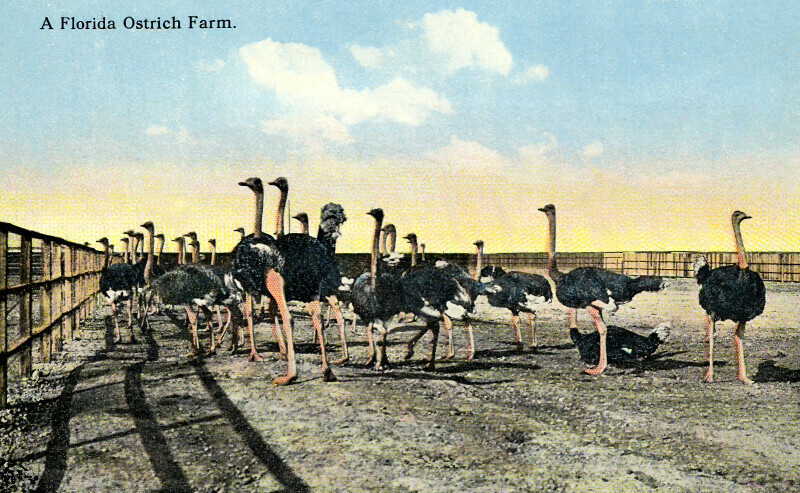 Most of the ostriches are standing, but one is sitting on the ground. The sun must be to the left, as the fence is casting a shadow to the right. WARNING: You are about to download a 4.4 MB TIFF!